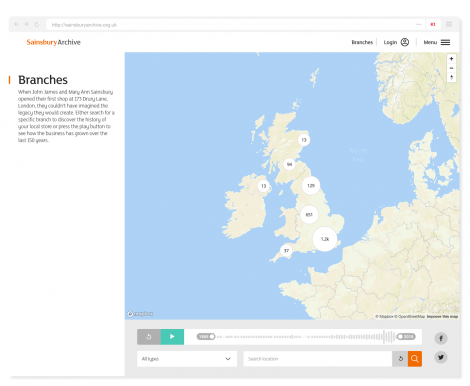 Keepthinking | Content/Collection Management System & Digital Design for Museums | London & New York | News | Explore the Sainsbury Archive - the catalogue is now online! 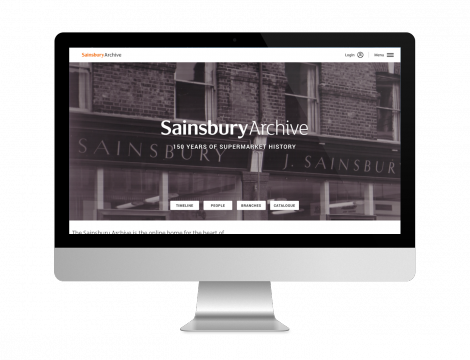 In 2017, Keepthinking embarked on an exciting journey with the Sainsbury Archive: to produce a website to showcase the archive collection and history all in one place. This was to include archive objects, stories about the people that made the supermarket, educational resources, a timeline, as well as innovative content such as an interactive map of all the physical locations of Sainsbury’s stores. It also provided the opportunity for website users to submit their own memories of the supermarket, and to create albums of content they find of interest. Weeks and months of designs, data exploration, testing, and content production later, this website is now live for all to see. Launched in time for the 150th anniversary of the first store opening its doors, Keepthinking are extremely proud of this project. We would like to thank the Sainsbury Archive team for their hard work on this with us; and for including us on this inspiring journey. Let us see what comes next!